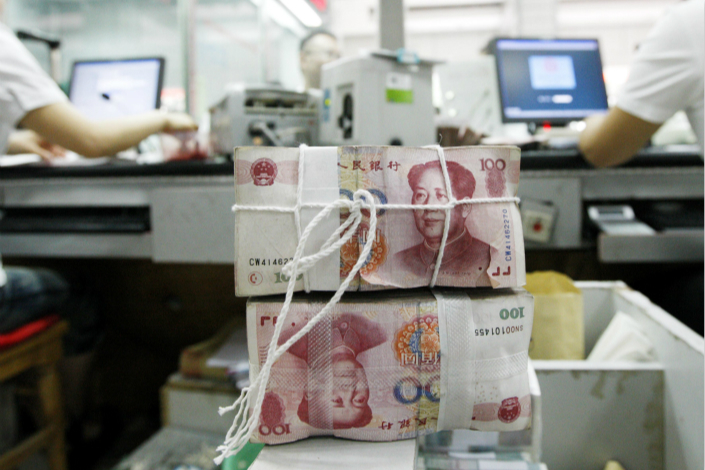 Chinese banks have scaled back issuance of new wealth management products (WMPs) in the wake of sweeping new rules financial regulators published late last month to curb risks in the country’s $16 trillion asset management industry. 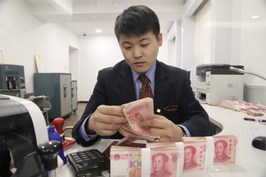 Fewer than 100 new WMPs were sold in the three days following the release of the Guidelines on Standardizing Asset Management Businesses of Financial Institutions on April 27, according to a monthly report by online financial service platform Rong360.com. In contrast, “several hundred” products were issued daily before the publication of the rules, the report said. Banks were already beginning to adjust their product offerings in April when the number of new WMPs declined 20.4% from the previous month to 10,849, the lowest since October, when issuance is traditionally small due to the weeklong national holiday, while on a year-on-year basis, the decline was a more modest 7%. Although seasonal factors were the main reason for April's drop, the unveiling of the new rules also played a role, the report said. 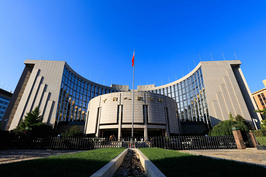 The long-awaited guidelines, released by the People’s Bank of China, the China Banking and Insurance Regulatory Commission and the China Securities Regulatory Commission, seek to break an implicit guarantee of repayment that has fueled risk-taking and built a culture of complacency and expectation of being bailed out among investors. They are also aimed at reining in the expansion of the shadow banking system which has mushroomed outside of proper regulatory oversight and led financial institutions to exploit regulatory gaps to invest in each other's products, building opaque and complicated webs of interconnected investments. Financial institutions have until after the end of 2020 to fully comply with the new rules. Lenders started adjusting the structure of their products before the release of the final regulations as they were given a taste of what to expect under the new system back in November when draft rules were issued. The number of WMPs offering guaranteed repayment of principal plus interest plummeted 25.8% in April from the previous month to 937, while the number of new products guaranteeing returns dropped 22.4% to 2,496, the Rong360 report showed. Banks are also lengthening the maturity of WMPs as the guidelines ban closed-end asset management products of less than 90 days, a change aimed at reducing and eventually eliminating the mismatch in maturity between the underlying assets, which tend to be long-term investments, and the short-term funds raised to invest in them. Regulators have become increasingly concerned that such a mismatch exposes banks to liquidity risks that could ripple through the broader financial system. The average maturity of WMPs was 189 days in April, 38 days longer than a year ago and up from 184 days in March, the Rong360 report said. “We expect the maturity period of WMPs to continue to lengthen as the effect of the new asset management rules kicks in,” it said. Faced with curbs on their WMP business, many banks have, over the past few months, turned to structured deposits as an alternative channel to attract funds. Structured deposits are savings accounts with an investment component linked to returns in financial instruments such as interest rates, stocks, commodities and exchange rates that allow banks to offer higher rates of interest than normal savings accounts. But number of these instruments sold fell to 117 in April from 172 the previous month, although the average interest rate climbed to 4.6% from 4.2%, according to the report. The new asset management regulations require banks to shift to a model of WMPs based on net asset value (NAV) from the current guaranteed or expected returns, and to publish regular mark-to-market NAV for every product. Mark to market is an accounting practice that measures the value of assets based on their most recent market price. The authorities hope this will improve investors’ awareness of the risks they bear and prepare them for shouldering potential losses. Only 79 NAV-based WMPs were issued in April, accounting for 0.73% of all newly offered WMPs, down from 0.82% in March, Rong360 said in its report, although it did not give a figure for March. “The impact of the new asset management rules on the transition to NAV-based WMPs has yet to kick in as the regulation was only officially published at the end of April,” the report said, adding that it expected more NAV-based products to be launched in future. The new rules have sparked fears that the WMP market could shrink significantly as investor confidence is hurt by the removal of guaranteed repayments and guaranteed returns. But so far, these concerns have not been borne out by reality. “We started issuing NAV-based WMPs in early May and the sales have been quite good,” an account manager at a large bank, who declined to be named, told Caixin. “The key issue remains the return-on-investment ratio. The transition (to NAV-based WMPs) is not that difficult as long as major risks and losses are prevented,” said the manager. An official with the asset management department of a local bank said regulators’ efforts to break the guaranteed repayment system would actually force banks to strengthen scrutiny of the risks of their off-balance-sheet investments.